read more... replaced by "The Flying Machine"
read moreFor those the other side of the pond, there's an upcoming exhibition on Snoopy & The Red Baron. read moreThe Cross & Cockade International AGM for 2016 will be held at the RAF Museum, Hendon, on Saturday 23rd April 2016. Most people will by now have heard that the RAFM's replica RE8, Albatros DVa and Sopwith Snipe, built by Peter Jackson and TVAL in New Zealand, have landed in the UK. 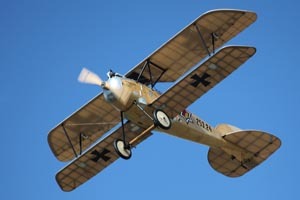 Koloman Mayrhofer and Eberhard Fritsch announced that in the late morning of 10th April 2012, after a 94 year break, a WWI designed Albatros fighter has flown again. Supporting our remit as an educational charity, Cross and Cockade International are part-funding a curator's role at the Royal Air Force Museum, based at Hendon. Stow Maries Aerodrome closed over winter. The next show will be Saturday 5th May 2012, to celebrate the 100th anniversary of the formation of the RFC. It has been confirmed by Alex's family that he passed away, after a short illness, on 4th June 2011. A full obituary (below) has been prepared by the family. We are delighted to announce that, contrary to reports via other forums, Peter Cooksley is still with us. We were saddened today to hear of the death of Dan-San Abbott, after a short illness. 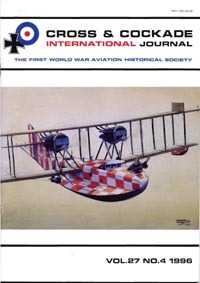 The monograph Naval Aviation in World War I has been out of print for many years and paper copies are no longer available through the Naval Aviation History Branch or the Government Printing Office. read moreThe International Plastic Modellers' Society (IPMS) will be holding a regional meeting and show at the RAF Museum at Hendon. The world's last known combat veteran of World War I, Claude Choules, has died in Australia aged 110. Officers Mess or Village Hall? DRINKSTONE VILLAGE HALL IS ON THE MOVE - Relocation not demolition for rare historic building! A ninety-year-old relic from the First World War, which was originally an officers mess hut at Great Ashfield Airfield and has served as the Drinkstone Village Hall in Suffolk since 1924, is being moved, lock, stock and barrel, to a new home at a museum and wildlife centre on the former First World War aerodrome at Stow Maries in Essex. Last year we reported that a permament memorial to Major Lanoe Hawker VC was being created on the site of his fatal crash in France. Phil Mobbs, from today's 24 Sqn, tells us that the project is now complete. read moreWe can now take card payments directly, as well as via PayPal. The 2011 calendar is SOLD OUT! read moreOn Sunday 30th May, the Aerodrome Museum at the Stow Maries project was officially opened by the Mayor of Maldon. read moreThe Royal Air Force Museum Trustees are pleased to announce that Air Vice-Marshal Peter Dye OBE has been selected as the Director General, Royal Air Force Museum with effect from 9th June 2010. The Severnside Military Show this year will be held on the Saturday 12th and Sunday 13th of June with a large gathering of armour, jeeps, trucks and enthusiasts. The event has moved from Kemble and will now be held at the Severnside Vintage showground in Cambridge, Glos. The new venue provides a laid back, friendly atmosphere for all of the family to enjoy. This is your chance to vote for what YOU consider to be the best article published in the journal during 2009. Next year, 2011, we'll be making an award the the author of the Best Article published in the journal during 2010. You'll have the chance to vote on paper, using a form sent out in the journal - or on line via the web site. To test this latter system, we're giving you the opportunity to let us know what you think of the articles published during 2009. Our government has decided that the Battle Of Britain Memorial Flight is expendable - and are threatening to withdraw funding. To mark Paul Leaman's imminent retirement as Chair of Trustees, after 40 years of dedicated service to the society, we're implementing a keynote lecture in his name, to be given at our AGM each year by an eminent aviation historian. Note that you don't need to be a CCI member to attend - and admission to the RAFM and the Leaman Lecture is free of charge. read moreNo - not THAT fantastic film. This is the play - and its not about pre-war air races either. 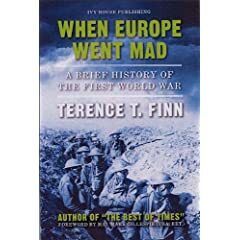 - a new title by Terence Finn, working with Tim Kenney marketing - watch the review in the next journal! read moreThe North London newspaper archive for the British Library is being digitised, and the millions of newspaper pages moved to Boston Spa in Yorkshire. In 2010 the Guild will be hosting its 40th annual exhibition! 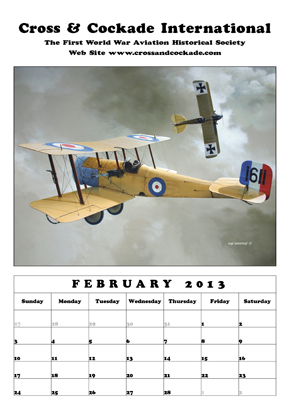 If you've any interest in aviation, and enjoy a well-produced painting, this is a not-to-be-missed event. read moreThe IPMS show, Scale ModelWorld 2009, was held at the International Exhibition Centre, Telford, on Saturday 7th and Sunday 8th November 2009.
read moreOn 1st July 2009 the Royal Air Force Museum's FE2b was unveiled in a ceremony at Hendon, London. read moreThe BBC has announced that Henry Allingham, the world's oldest man and one of the last servicemen from World War I, has died. Henry was also the last surviving member of the air services from WW1. The Annual Exhibition of paintings at the Guild of Aviation Artists was being held at The Mall Galleries in London, between 20th and 26th July 2009, and was, yet again, a resounding success. On Sunday 12th July 2009, underneath the railway arches on the Walthamstow Marshes, an exhibition was held to celebrate to 100th anniversary of the first all-British powered flight. Last weekend an original 1918 Austro Daimler engine was run, during a Aviation Festival near Vienna. Even better - the engine was in an Oeffag Albatros D.III! 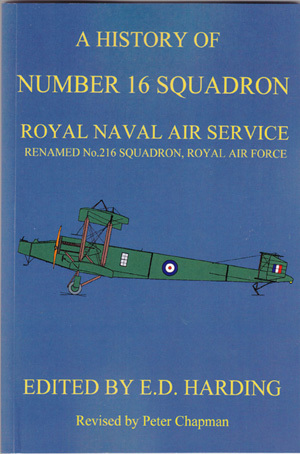 Following the resounding success of the society's first book, "Nieuports in RFC, RNAS & RAF Service", on 1st July 2009 we launched our second. 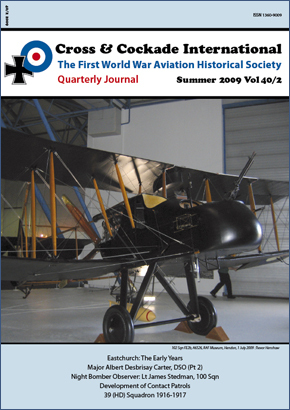 Publication coincided with the unveiling of the newly-restored FE2b at the RAF Museum, Hendon. We are taking orders NOW through the on-line shop! Don't wait for too long, as interest is proving to be higher than expected, and we're not expedting stocks to last beyond the autumn. Price delivered in the UK is £30.00, overseas by surface is £32.50 and overseas by airmail is £38.15 - excellent value by any measure! An exhibition on top Italian ace Francesco Baracca is on display at Lugo (between Bologna and Ravenna) in Northern Italy until 19th July 2009. Anyone in the area should make this a "must see" item! For the last 20 years, the Ypres Technical School have had a beautiful 110hp Le Rhone rotary engine. Three years ago, staff and students started building an aeroplane for the Le Rhone to live in. Now it's ready to roll! On Friday 24 July 2009 a formation of current and historic aircraft of the Fleet Air Arm flew over Eastchurch on the Isle of Sheppey in Kent, the birthplace of Naval Aviation and home of the first Royal Naval Air Station. The Royal Navy fly past was the opening event of "Sky Sheppey 2009" a weekend of flying displays, events and exhibitions celebrating 100 years of British aviation.